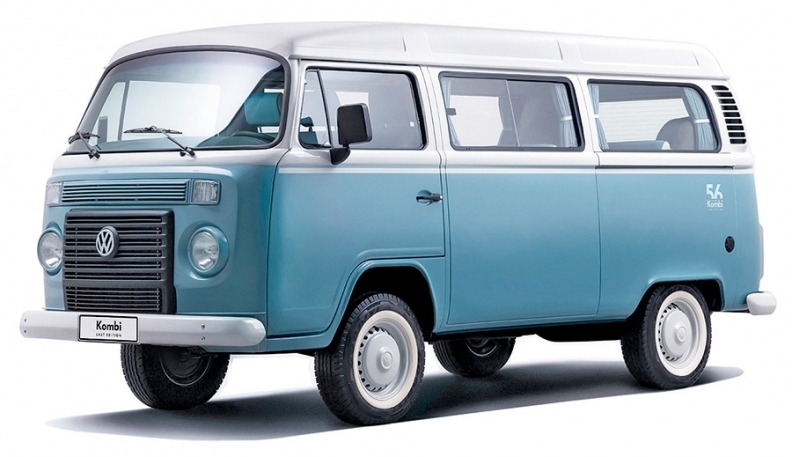 Volkswagen of America stopped importing the Microbus in 1979, but the beloved hippie van of yesteryear lived on elsewhere. The last 600 units of the 63-year-old nameplate are rolling off the line in Sao Bernardo do Campo, Brazil. Since the German launch in 1950, VW has sold 6.2 million of them. The Microbus was a U.S. counterculture icon of the 1960s, and its best-selling years here were in the 1970s. VW sold about 70,000 annually in those days. Tightening safety regulations are the main reason for the demise of the bus, known as the Kombi in Brazil. But VW was also worried about the brand's image. Said a VW exec last year: "You don't want to be known as the brand with the old cars."